Exhaust gas recirculation is a special function used to reduce nitrogen oxide emissions in petrol and diesel engines. This process works by recirculating a part of the gas that has been exhausted by the engine and sending it back to the engine cylinders. This dilutes oxygen gas and gives way to other gases that are useful in combustion. This process is very much important now in the world of more modern automotive engines since gas recirculation will help companies running through this application meet emission standards. At Airtech Vacuum Incorporated, we can install vacuum and blower technologies for gas recirculation industries. When the first ever exhaust gas recirculation systems were introduced in the market, they were considered crude. This type of technology rendered difficulty when starting the engine and likewise resulted not just to rough idling but also in reduced fuel economy and engine performance. It was in 1973, when the system has been improved by introducing valve-controlled systems that included a vacuum that opens and closes to accept exhaust to the intake tract. As the years go by, these systems were improved accordingly and became more sophisticated depending on the application with which they are required. As automakers gained experience in terms of the use of these technologies, the vacuums and pumps for gas recirculation were updated accordingly. This then led to the manufacture of more reliable technologies that people in the gas recirculation industry will be able to choose from. Why Choose Airtech Vacuum Incorporated For Gas Recirculation? Airtech Vacuum Incorporated, since it was founded in 1982, has continuously manufactured a wide array of vacuum and blower technologies, including high pressure regenerative blowers, dry vane pumps, rotary claw compressors, and more. Our dedicated team works tirelessly on each product to serve the needs of every industry that has been depending on us. Our regenerative blowers for the gas recirculation industry can be easily operated and installed thus giving you peace of mind once you order one from us. Since our company has been certified with ISO9001-2008 and our products attained certification from RoHS, UL, CSA, and CE, you will definitely get 100% satisfaction when buying from us. In order to assure that you will get the needs of your company, we have dependable engineers who will come knocking at your door to assess your unique situation. Once we have done that, we will be more than ready to customize your products according to your needs. 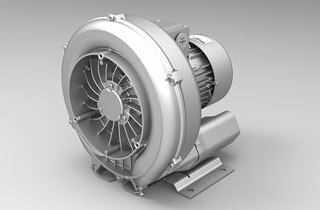 You can get blowers that are either nickel-plated or those that have magnetic drives from Airtech. We are proud to say that we handle every order up until it is shipped to you plus you get them at the most competitive rates. Start browsing through our inventory today and source for top-notch gas recirculation vacuum and pressure products with exceptional ease!